vibrant neon-body and reflector belt are easily visible during twilight hours. 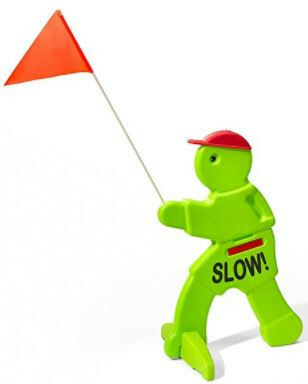 visual warning signal alerts oncoming motorists when children are in the area & to slow down. 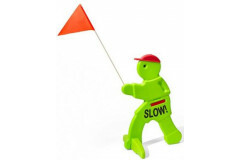 easy set-up and take-down for each play time, 32" tall warning flag included.